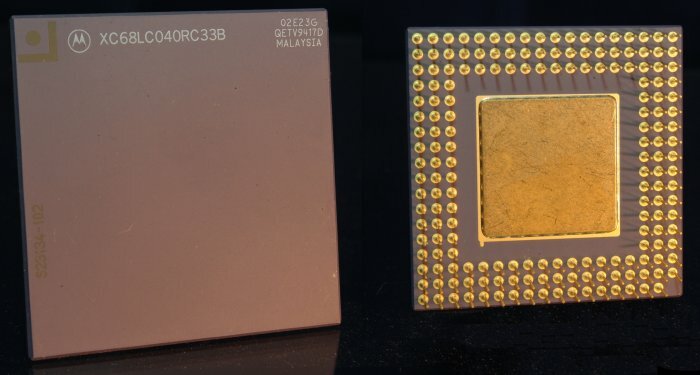 This processor has been used on several accelerator cards and as the base processor on some developer releases of the A4000. The primary difference between the 68040 and the 68LC040 is that it does not have an FPU. The 68LC040s were usually just 68040's where the FPU had failed during testing. The LC040 is different to the EC040 which doesn't have a working FPU or MMU. The primary difference between the XC versions and the MC versions is that the MC processors are slightly newer versions which are more tolerant to overclocking and heat.